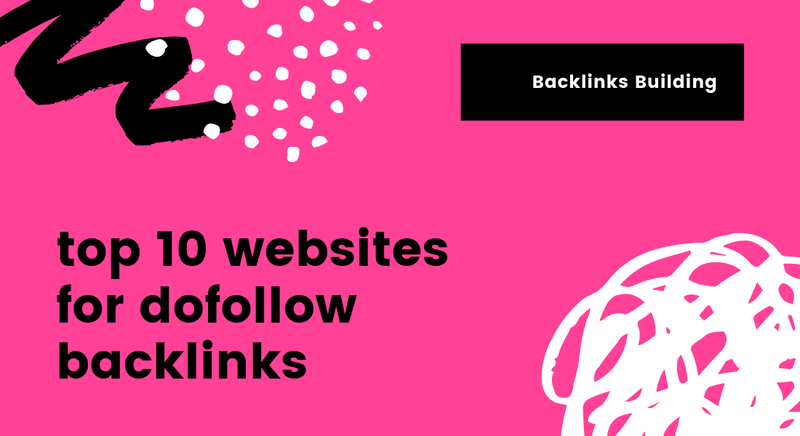 Which are the top 10 websites for dofollow backlinks 2019? 05 Apr Which are the top 10 websites for dofollow backlinks 2019? Which Are The Top 10 Websites For Do-Follow Backlinks In 2019? Do-follow links are highly powerful for SEO, as they help in passing the authority to the destination site from the source site. Thus, your website has a chance of getting the best incoming links. You will also find higher and better rank in the SERP result of Google. Now, we have shared the high DR sites that enable you to get do-follow links. Usually, Quora has nofollow links, and they do not link juice to any platform. However, when you have added links to your answers on this platform, it can be the best tactics for SEO. You will have a chance of increasing your authority and driving more visitors to your website. This is another website, where you can get the advantage of do-follow links. You can apply different techniques to get the links. You can create your profile at this audio sharing website for getting the profile links. Testimonials are one of the effective options for building trust with customers. Word Stream helps you to do it on its site. You may have used a service or product of a company. You can write a review on it and have the high authority backlinks to your own site. This is a very common platform to the bloggers. You can publish high quality content on Blogspot and find more visitors to your blog. Backlink is one of the options for linking back someone’s blog to your own site. Blog writing is the best technique to post the do-follow links for your site. At Blogspot, you may also leave comment on others’ blogs and insert your own blog URL. However, those blogs have to be relevant to yours. You can reveal to other bloggers that you are one of the active members of Blogspot. As one of the social networking websites, Pinterest is highly popular to those, who have interest in images. Several webmasters and bloggers also try to get do-follow links to their own blogs. Pinterest has website verification process to help you in adding your website link. When you have undergone this verification process, your profile will display the website link. It is one of the online directories to help you in finding the resource of do-follow links. However, make sure that you have submitted your web link rightly. It is a free directory for submitting your site. WordPress is the best platform for blogging. You can create do-follow blogs for increasing the number of visitors. Do-follow always stimulates the interaction with the blog readers. While anyone is commenting on your blog, they add value to the content. This is one of the do-follow forums, helping you to get backlinks to your site. You will get higher Page Rank for it. Admin Zone offers several do-follow links for SEO of your site. This is another similar forum to help the SEO specialists and other professionals to increase their knowledge. Insert your link to get visitors to your site. This is a profile creation website, where the bloggers and different other professionals get a chance of creating their profile. While creating this profile, you can insert your own website link. Thus, we have listed the most popular sites for the effective do-follow links. These websites will help you in successful link building campaign.